Hanoi (VNA) – Hanoi wants to bolster cooperation with the Democratic People’s Republic of Korea (DRPK) in various fields, especially education, an official of the capital city has said. 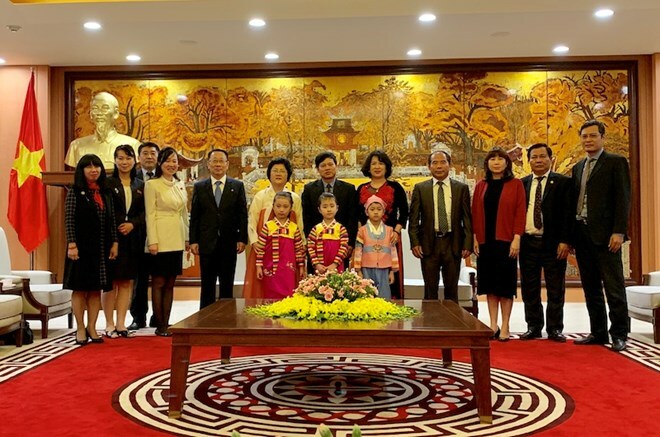 Vice Chairman of Hanoi People’s Committee Ngo Van Quy expressed the wish while receiving a delegation of the DPRK-Vietnam Friendship Association led by its Vice Chairwoman Ri Kang-juk in Hanoi on March 26. Quy affirmed that people of Vietnam and Hanoi in particular always treasure the friendship of the two countries. He spoke highly of activities of the DPRK-Vietnam Friendship Association over the past time, which contribute to the bilateral relations.